DOTA 2 Auto chess now has 6 million subscribers, signifying its far-reaching success and popularity. Auto Chess has been one hot topic since the game was released. And while a lot of players and community members believed that the hype would die soon (and so would the game), that hasn't happened. 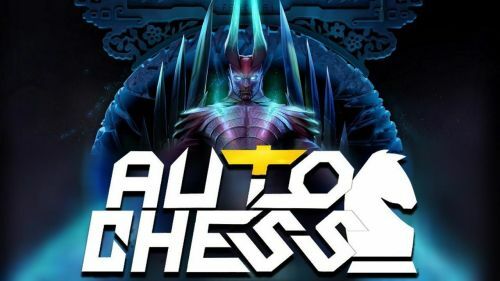 Auto Chess is not done yet, as it is still going forward and it's moving pretty fast. The growth of the game is unlike anything else. This is probably the most hyped and subscribed Custom Game, and the second most popular mod ever (considering DOTA 1). The game blew up soon as it was released, and the community went rogue. In the beginning, there was a lot of hype and a lot of complaints about how Auto Chess was destroying the DOTA 2 matchmaking. The hate-train died, but the game survived - and eventually became the most subscribed and played Custom Game. The growth of the game and the player base has been super fast, and I don't see it slowing down in the next few weeks or months. The 6 million subscriber record came within a month of reaching 4 million subscribers. The mod is gaining almost 42,000 subscribers every day and at this speed, it will soon reach 7M. The game developers are making regular updates and bug fixes as well as new patch changes. This means Auto Chess is already evolving, and already a bit different from what it used to be. This is no more just a game you play when you are bored of DOTA. There are also a bunch of tweets that say the users downloaded DOTA 2 just to play Auto Chess. It is already confirmed that Valve has spread its helping hand to Drodo and offered development support. We all know Mods are a Valve thing; Counterstrike was a half-life mod, DOTA 2 previously was a Warcraft mod, the list goes on. Valve is good at turning mods into community favorite games, as we've seen many times before. Now that Auto Chess has become the game Artifact wanted to be, Valve might just turn Auto Chess into an independent game soon.